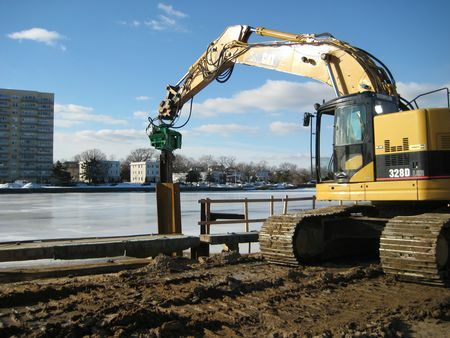 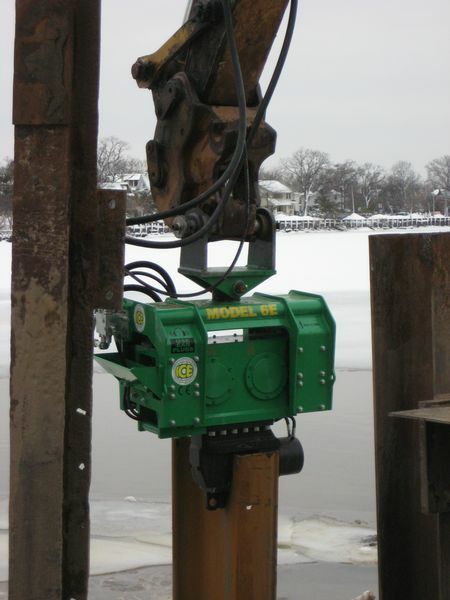 Driving a 20 H-beam, road plate, and 20' sheets The job was in Deal Lake NJ (the NJ shore) . 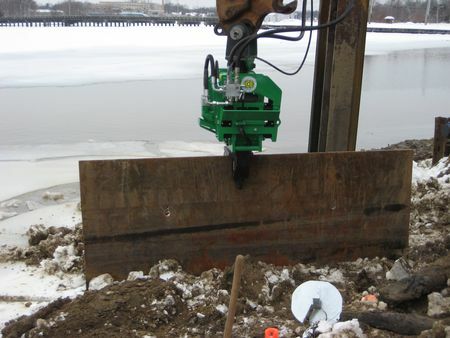 They were redoing the wall that goes around the lake. 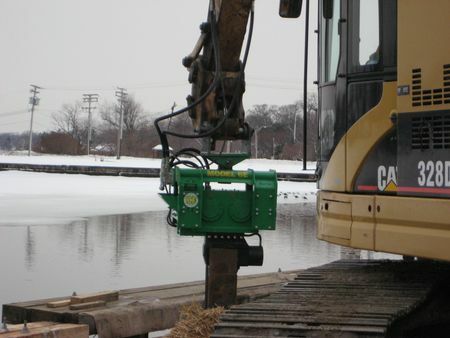 The excavator used was a Caterpillar 328 LCD.